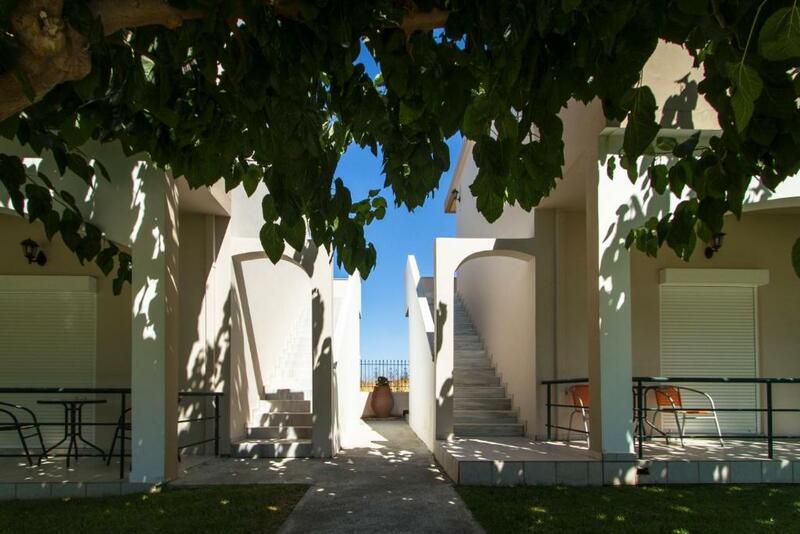 The project is exquisite, well-maintained, magnificent swimming pool and within a short walk to the sea and beaches. a convenient place to visit the most beautiful places in Crete with delicious Greek cuisine and friendly staff, Thanks to Galina and Chrisie for everything. Value for money, my family enjoyed it. Though we just stayed one night, I can definitely recommend the place. Everything was great, the service is very good and the owner and staff of the hotel are very friendly and nice hearted people. The recommendation by the owner to go to Phalasarna beach made my trip wonderful. I am really thankful to the owner for his suggestion, Thank you Sir, I agree with you, it is the Excellent beach!!! Very good hotel in excellent location. Not exactly in the town but also not too far from attractions. I can truly recommend. Lock in a great price for Mediterranean Studios Apartments – rated 8.5 by recent guests! 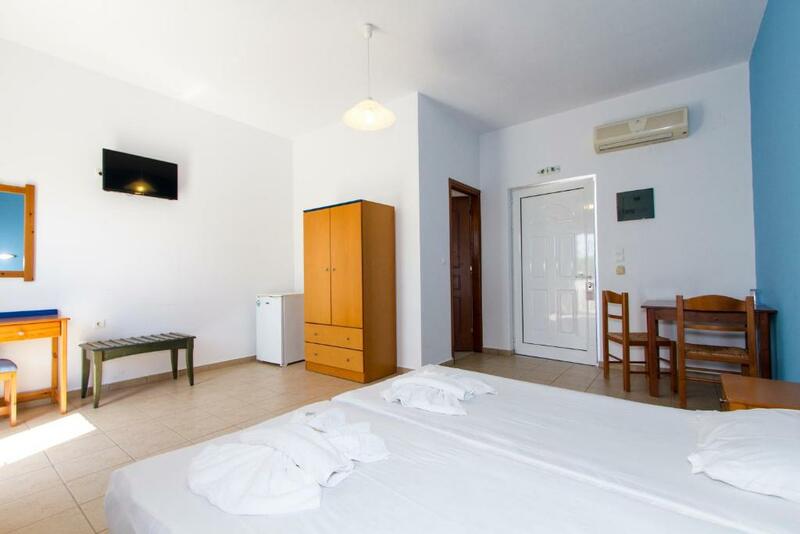 One of our top picks in Kissamos.Just a few steps from the beach and 1.6 mi from Kissamos, the Mediterranean Studios Apartments offers self-catering accommodations with free Wi-Fi. Breakfast is served daily by the large swimming pool. All studios and apartments at Mediterranean hotel are bright and spacious, and have a balcony. They include a kitchenette with mini fridge, air conditioning and a TV. The hotel’s tavern serves Cretan and international cuisine in a shaded area by the pool. Refreshing drinks, juices and cocktails are offered at the bar. The picturesque town of Chania is 9.3 mi away. The popular beach of Balos and the scenic Elafonisi are a 30-minute drive away. On-site parking is provided free of charge. When would you like to stay at Mediterranean Studios Apartments? 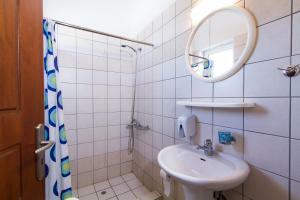 This spacious studio is on the ground or second floor with balcony. Has kitchenette, air conditioning and TV. 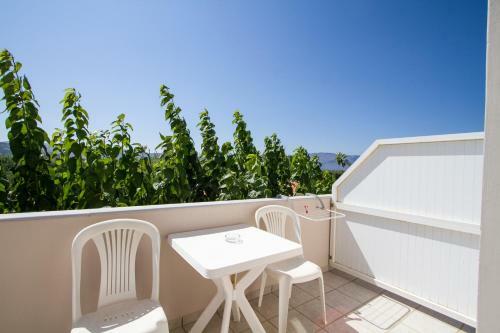 This large apartment is on the ground floor or on the second floor with 2 balconies. 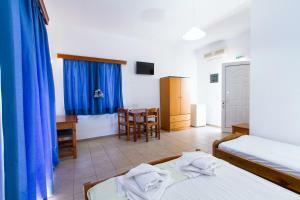 Includes air conditioning, TV and kitchenette with fridge and a separate room with a double sofa bed. 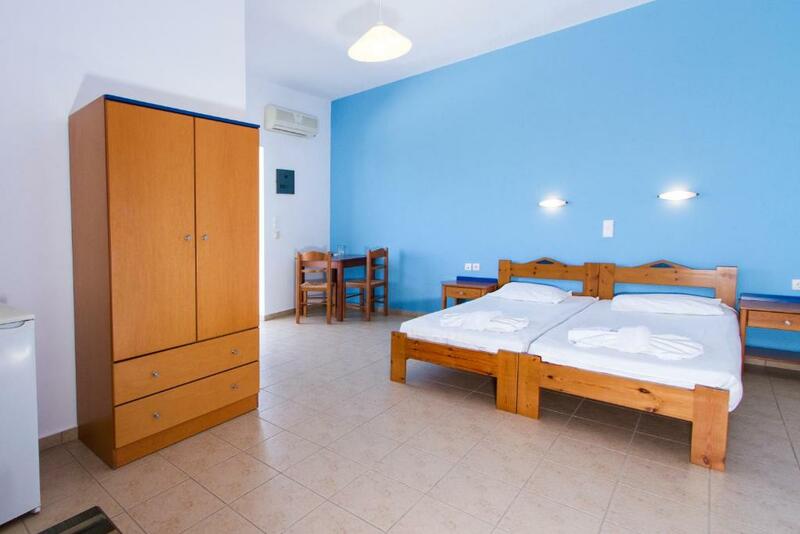 The Mediterranean Studios Apartments are just a few steps from one of the best sandy beaches in Western Crete, with safe bathing facilities and fantastic views over the bay of Kissamos. 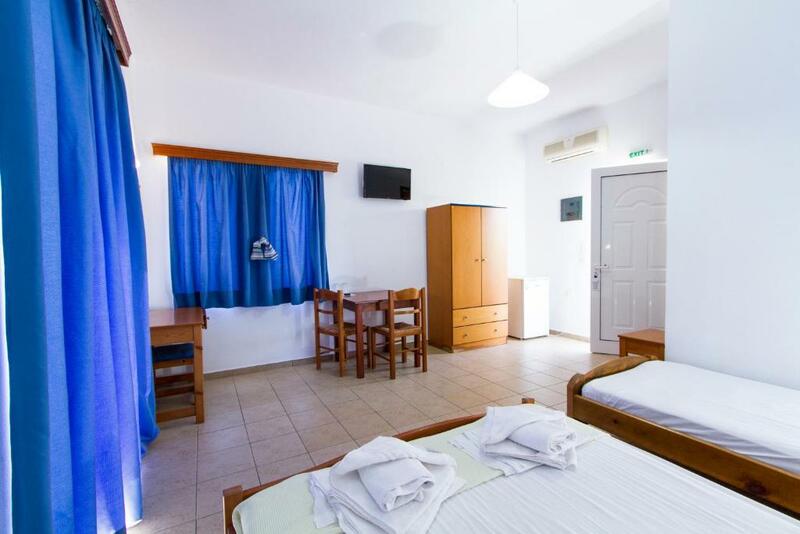 only 2.5 km from the historic town of Kissamos The hotel offers self-catering accommodation, with free Wi-Fi. Breakfast is served daily by the large swimming pool. 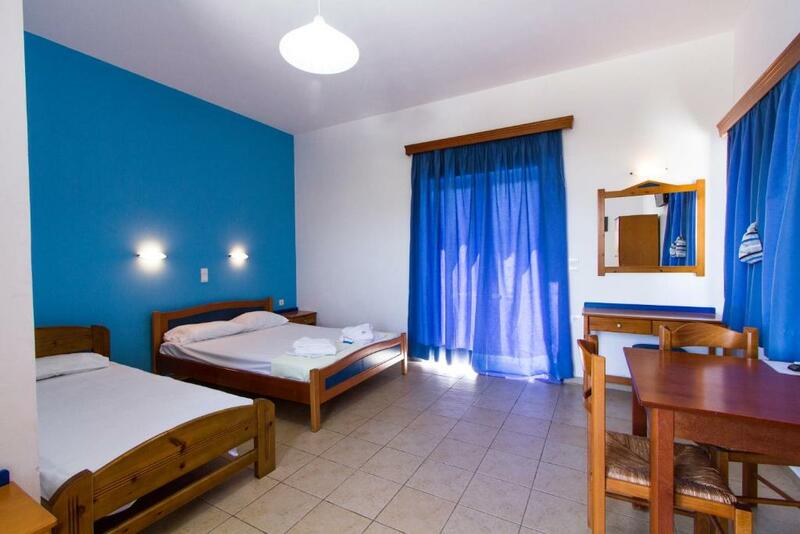 All studios and apartments at Mediterranean hotel are bright and spacious, and have a balcony. Studios & apartments include a kitchenette with mini fridge and a TV. All units are also equipped with air conditioning. 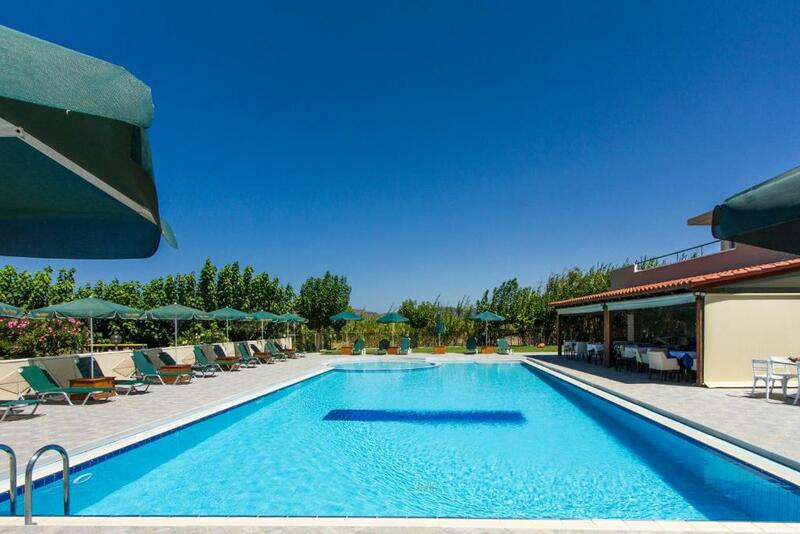 The hotel’s tavern serves Cretan and international cuisine in a shaded area by the pool. Refreshing drinks, juices and cocktails are offered at the bar. On-site parking is provided free of charge. Great place for couples and families @!! My name is Stelios I am the owner. I recently returned from the USA to manage the hotel with my wife and family. We would like to welcome you and ensure that you have a pleasant stay. Please let me be your guest! House Rules Mediterranean Studios Apartments takes special requests – add in the next step! Debit card Mediterranean Studios Apartments accepts these cards and reserves the right to temporarily hold an amount prior to arrival. Mediterranean Studios Apartments accepts these cards and reserves the right to temporarily hold an amount prior to arrival. Please note that cleaning is not provided on Sundays. One needs a rental vehicle as the project is about three kilometers to the nearest town if in need of provisions or diversity. I missed there some small playground for children, some games and accesorries for them. Clean, great staff, very kind. So much fun! Weak signal Wi-Fi. The room is located on the ground floor at ground level, next to the parking lot. Therefore, when you sit on the balcony, everyone walks close enough that they can touch their hand. At the same time, there is a main path that no one uses. Ants walk around in the kitchen area and in the bathroom. There are no means for washing dishes, in the bathroom only liquid soap. The only thing what we did not like is the restaurant. We were waiting one hour for the dishes, they forgot our starter, and everything was very oiled. Then we were also waiting long time for paying the bill. It was unpleasant. The room was very clean, and the personal was helpful and kind. The beds were a little hard but had no issues sleeping. Staff were extremely helpful and would do anything to make your stay extra special, even down to the cleaning staff. We have really liked the location of facilities - close to the very nice beach. The staff is super nice and helpful, especially lovely Chrisa at the reception. They have organised everything we asked for - like renting a bike and motorbike.